Previously we looked at the ins and outs of cylinder heads but, as you’re probably aware, your heads don’t work in isolation. The correct inlet manifold is essential in putting together an effective package for a given purpose. 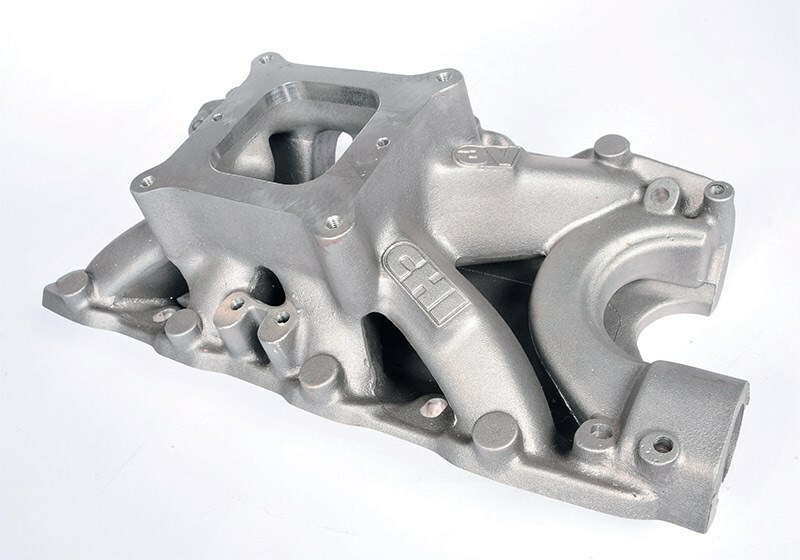 The intake manifold consists of a series of tubes that distributes the air coming into the engine evenly to each of the cylinders, so that the right amount of air can mix with the right amount of fuel – be it petrol, diesel or gas. Upstream of the manifolds there will be an air-filter, which may be of several different types: dry paper, oil-soaked or oil-bath, depending upon the engine and the environment in which it’s designed to operate. The air intake system may have several other features too: a large empty space may be designed in, to act as a suppressor for variations in air-flow, and the air-intake may have the facility to draw in ambient or pre-heated air, perhaps from near the exhausts, in really cold conditions. 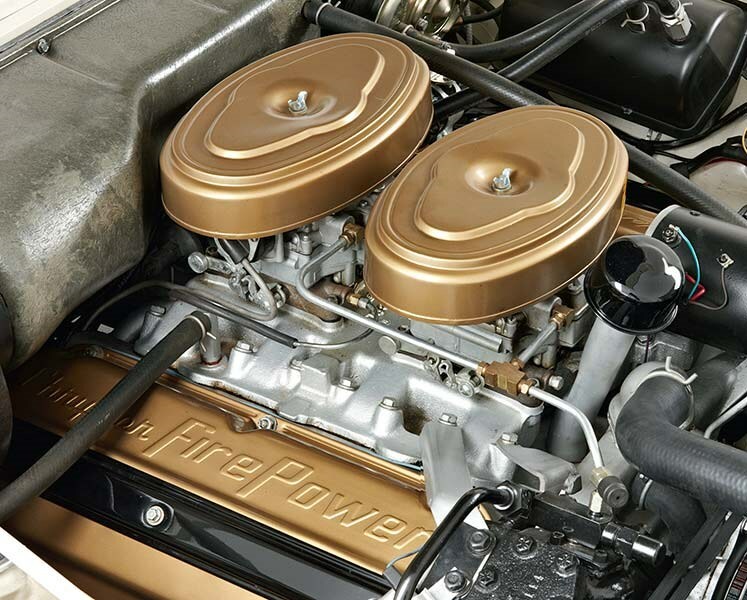 The length of the intake can have a significant effect on how well the engine operates and where in the rev-range it develops power and torque. There could be another chamber too, a plenum, but by definition a plenum operates at slightly higher pressure – such as that created by a forward-facing air-intake on a fast-moving vehicle. The diameter of the air-intake can be varied, to slow or speed up the air flowing through it. 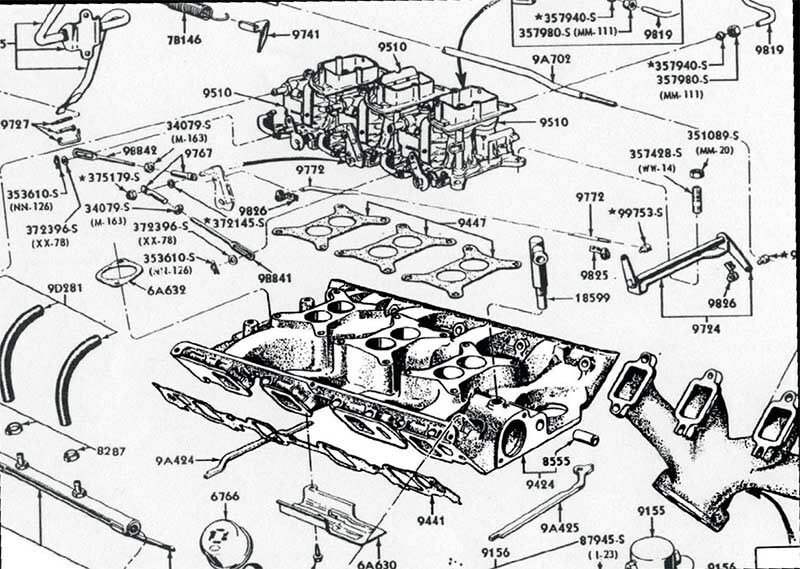 Somewhere between the air-filter and the cylinder head will be one or more carburettors, or fuel injectors. 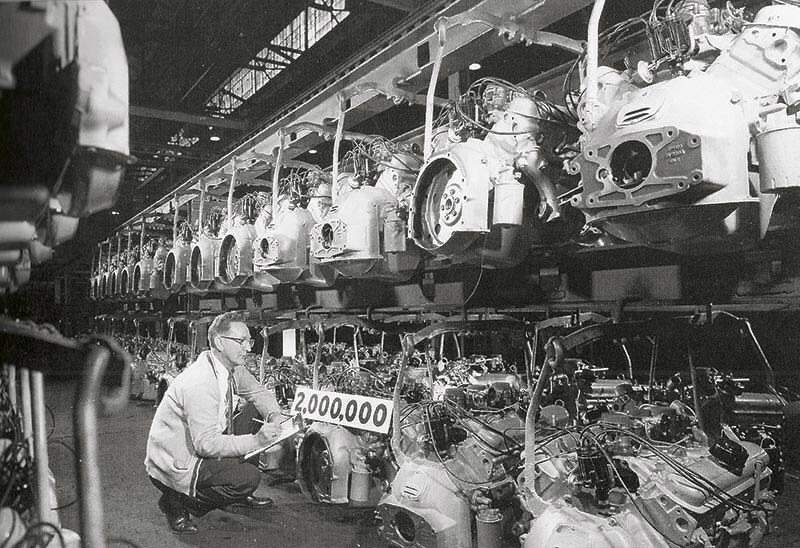 A carburettor is a finely-manufactured instrument tasked with atomising liquid fuel into an air-stream created by the engine’s induction stroke in very accurately metered volumes; hundreds or probably thousands of books have been written about setting up carburettors. In contrast, an injector actively squirts droplets of fuel – usually under quite high pressure – into the air-stream in varying places in the induction tract. Injectors are often computer-controlled and may operate several times per intake stroke, depending upon engine design. During the intake stroke, air from the intake manifold is sucked into each cylinder through a valve or valves. These intake valves are then closed for the other strokes and reopen when the cycle starts all over again. It’s the intake manifold that’s responsible for making sure that there’s enough air available when the valve opens for each intake stroke and that each cylinder gets the same amount of air as the others. The two most common types of four-barrel manifold for V8s are single-plane and dual-plane. A single-plane has one large plenum with all of the runners connected to it. The larger single-plenum is needed to feed a big motor turning fast. Single-plenum motors don’t work so well at lower speeds because when multiple valves are open at the same time, they can rob mixture from each other. The plenum in a dual-plane manifold is divided in two. Each group of four runners is connected to half of the plenum in a way that separates induction strokes by one hundred and eighty degrees of crankshaft rotation. Therefore, no two cylinders on the same stroke are exposed to each other. Although dual-plane manifolds work well at lower revs, they become restrictive at higher speeds with bigger displacement engines because each half of the plenum has access to only half of the carburettor. On the other hand, the smaller volume of air in a dual-plane half-plenum is easier to get moving. Therefore, acceleration from low revs will generally be much livelier with a dual-plane manifold. A third type of manifold is the tunnel-ram. These are most often seen on very high performance engines. Tunnel-rams feature long, straight runners drawing from a long, central plenum usually designed to take two carburettors. 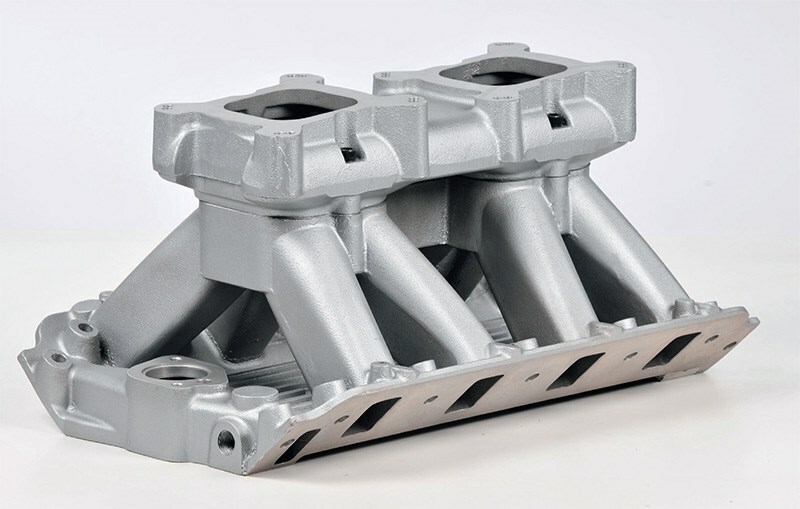 In more recent times, a new hybrid type of manifold has emerged, the high-rise dual-plane. These combine advantages of both high-rise single-plane and dual-plane manifolds. They’re available for Holdens and Fords. Camshaft specifications are a good guide to selecting the right basic class of manifold. A duration in the range of standard to about 230-235 degrees suits a dual-plane. A dual-plane high-rise works from 225 degrees up to about 250-260 degrees. And a single-plane works best with durations from 250 degrees upwards. All these figures are for durations specified at 0.050". 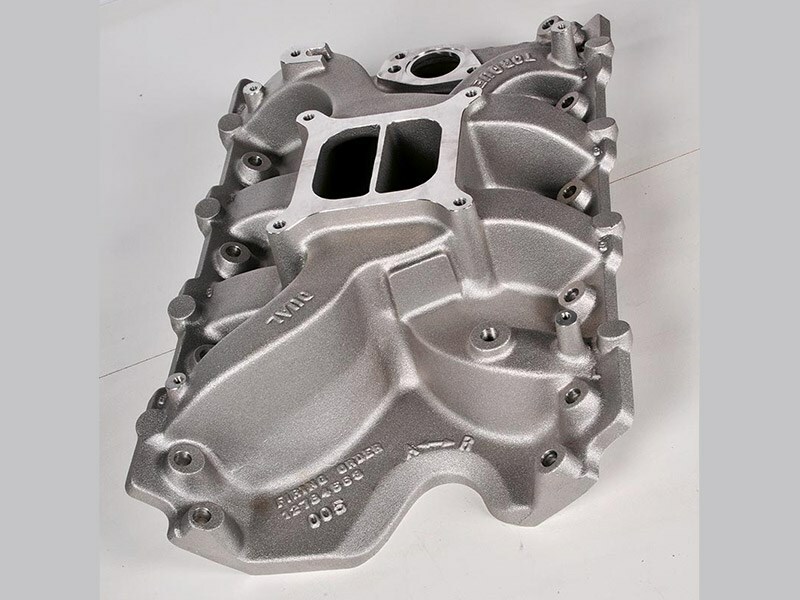 Edelbrock also defines manifold suitability using cam duration figures but includes lifts in its specifications. In reality, though, lift figures probably tend to rise roughly in proportion with duration.